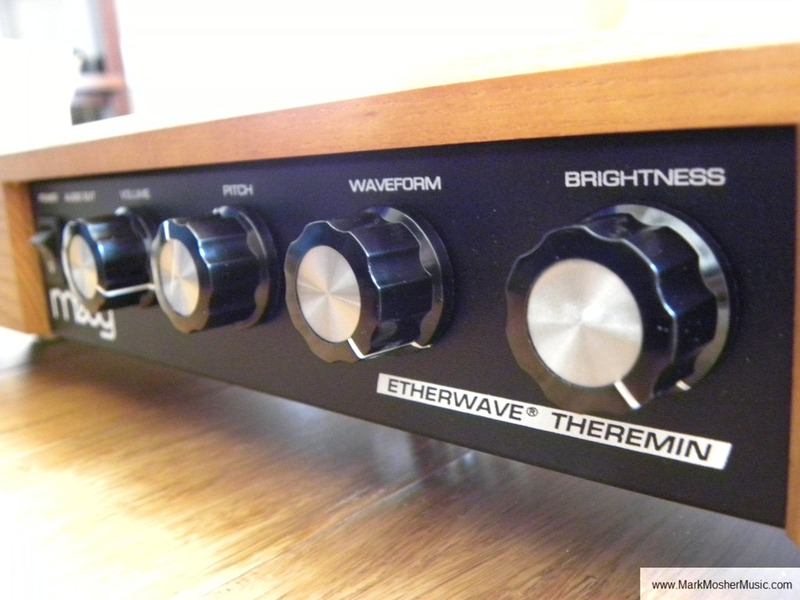 Yesterday, I received the last instrumental element of my rig – the Moog Etherwave Theremin. It was actually a gift from my wife and extended family which makes it even more special! I’ve included a few pictures in this post and you can see more over on my Facebook Fan page. 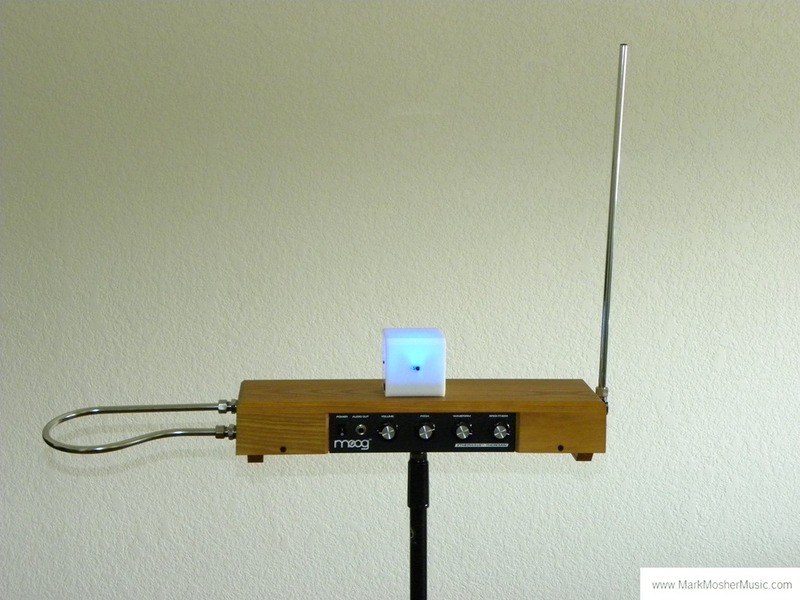 The Theremin is amazing and I’ve always wanted one – for many reasons really. First I feel that through the Theremin I’m connecting to the history of electronic music, and to Bob Moog in a way. Second, I’ve always loved the classic use of Theremin in science fiction films. I used a Theremin patch from a virtual synth in the song “They Walk Among Us” and I’m quite excited to use a real Theremin to perform this live. Third, I’ve always been curious about composing using spatial movements of the body. Lastly, I think it will also add an interesting visual aspect to my performances. I plan to both learn classic Theremin technique, plus go well beyond the classic use of the Theremin by using it’s signal to control other elements in my rig and to heavily process it’s signal. I’ve already started working with it running through Ableton Live and using Percussa AudioCubes to modulate digital parameters that are effecting the analog signal. Very exciting! The instrument itself is very solid and beautiful and is quite a contrast to commodity plastic controllers in build quality. I like Moog’s form factor with the Etherwave as well. They’ve done a nice job creating a small but solid enclosure that is lean and functional. If you’ve not played a Theremin, it’s actually quite challenging. 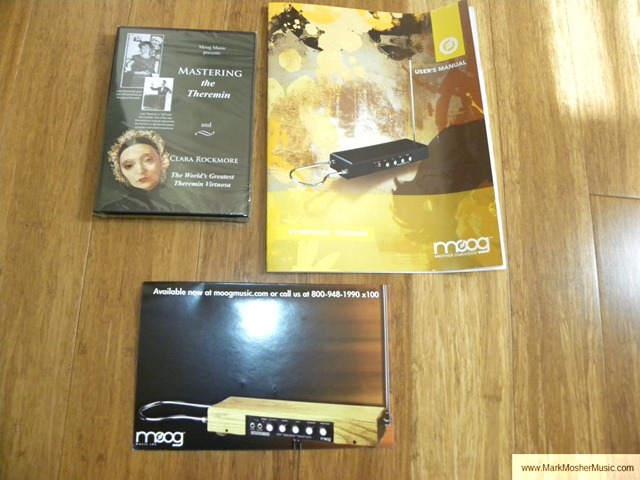 I’m very pleased that Moog included a DVD with two video tutorials by Clara Rockmore, “the Greatest Theremin Virtuosa” and “Mastering the Theremin, by Lydia Kavina”. Bob Moog also makes an appearance in the video. Many, many, many hours of practice in my future with the Thremin. More to come on this including videos of performance and rehearsals. Stay tuned. We’ll be looking forward to some massive AudioCube + Ableton + theremin madness…..